KINGSTON UNIVERSITY graphic design students have been asked to design the physical paper notes of the Kingston Pound, which will be printed in April. 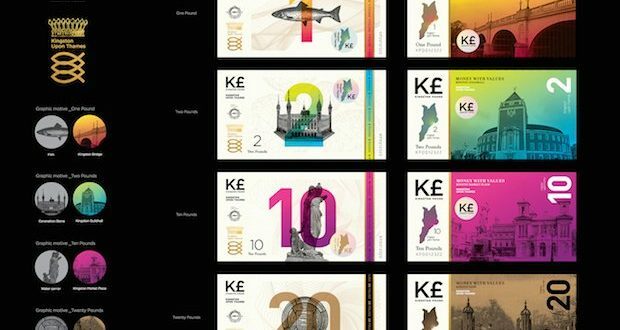 Kingston students are contributing to designing physical pound notes for Kingston’s local currency, the Kingston Pound. The project aims to use Kingston currency in an attempt to stop money from leaving the borough and instead circulate it among local businesses. Another graphic design student, Ella Hilton, said: “I think it’s really good to be involved in live briefs while at university as it enables us to see what the industry is like. As much as 80 per cent of the cash used to pay for goods in Kingston-upon-Thames leaves the borough within a day. Independent financial adviser Andrew Connolly is one of the people behind the development of the pound and explained that although digital transactions will account for most of the pound’s appeal, a physical version will add value and hopefully expand the project. “Having a physical currency allows us to increase the visibility of the project locally and nationally,” Connolly said. The Kingston Pound, will keep more value within the borough and benefit the local community. 160 people are using the local currency that is accepted at outlets such as the Rose Theatre and Banquet Records as well as 70 other local businesses. Bristol, Brighton and Brixton are among the places that have introduced their own local currencies and Connolly explained local developers are working together to figure out what works best for them. Learn more about the Kingston Pound and the idea of local currencies.